Patience is the name of the game for writer and director Richard Linklater. Fresh from charting the romantic ups and down of Celine and Jessie over two decades in his Before Sunrise, Before Sunset and Before Midnight trilogy, he unveils another long gestated project that shows how willingness to play the long game can create a true cinematic original. Shot in installments over a 12-year period, Boyhood is a fictional drama charting the changes in the life of Mason (Ellar Coltrane). Raised by his mother Olivia (Patricia Arquette) while his largely absent father (Ethan Hawke) checks in and out of his life, Mason goes through childhood and puberty in Texas, captured in a series of lightly but accurately drawn scenarios, pinned down with pop culture references (Star Wars, Harry Potter) and political background (September 11, Iraq, Barack Obama). From backyard games to starting college and sexual awareness, Mason’s story is deliberately unexceptional and ducks any accusations of melodrama; it’s an authentically awkward, ordinary life, scrupulously observed. The 166-minute running time is the only real problem with Boyhood; Linklater seems to be too much in love with the material to throw anything out. Coltrane gives a wonderfully natural performance, rising to the standard set by Hawke and particularly Arquette, who makes the role of Olivia both frustrating and deeply sympathetic as she struggles to make a secure family unit for Mason and his sister Samantha (Lorelei Linklater, the director’s daughter). Boyhood is another deeply personal film from Linklater, a director whose bigger films (School of Rock, Me and Orson Welles) remain true to his gift for natural dialogue and uncontrived set-ups. Boyhood is a deliberately minor pleasure, unsparing of the tougher lessons to be learned from parenthood, for child and adult alike. The punishing length aside, it’s a triumphant experimental film that offers a unique cinematic one-off. General release from Fri 11 Jul. 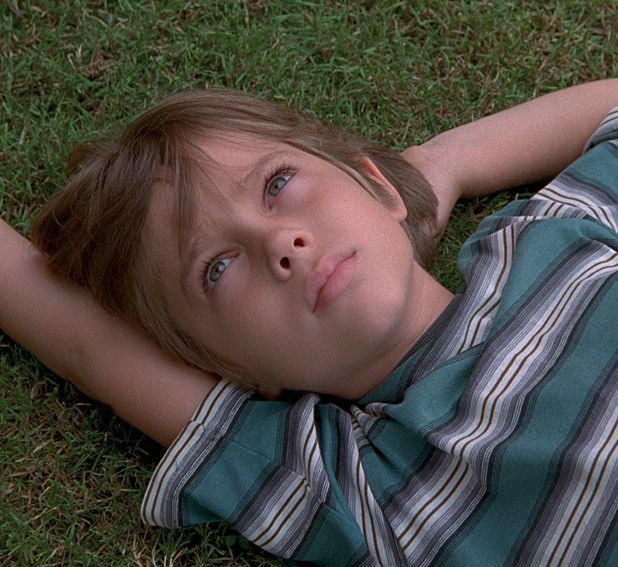 Made over 12 summers, Linklater's visionary Boyhood follows Mason (Coltrane) from age 5 to 18 as he grows up in real-time.